You're going to need a lot of accessories for your new MacBook - the one that does away with almost every traditional port - and now you can add third-party cords to the list. 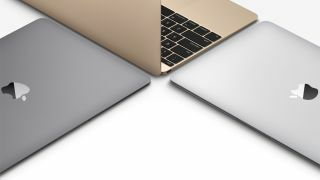 The new MacBook uses the brand new USB Type-C connector, but it turns out you won't be limited to Apple's expensive first-party versions. Apple has revealed that the new MacBook will be compatible with third-party USB-C cords - including third-party chargers. MacBook users up to now have been forced to use Apple's overpriced and low-quality MagSafe power chargers, so it's great to see the company letting other accessory makers take a whack at the new MacBook's charger. There may be one caveat: "Your MacBook will charge from USB-C power adapters not manufactured by Apple if they adhere to the USB Power Delivery specification," reads an Apple Support page. But third-party charger makers will doubtless keep that in mind. There are plenty of USB-C cords and adapters on sale already, so you can start stocking up now if you're inclined.